Inspired by non-rectified planks of Nordic Countries. 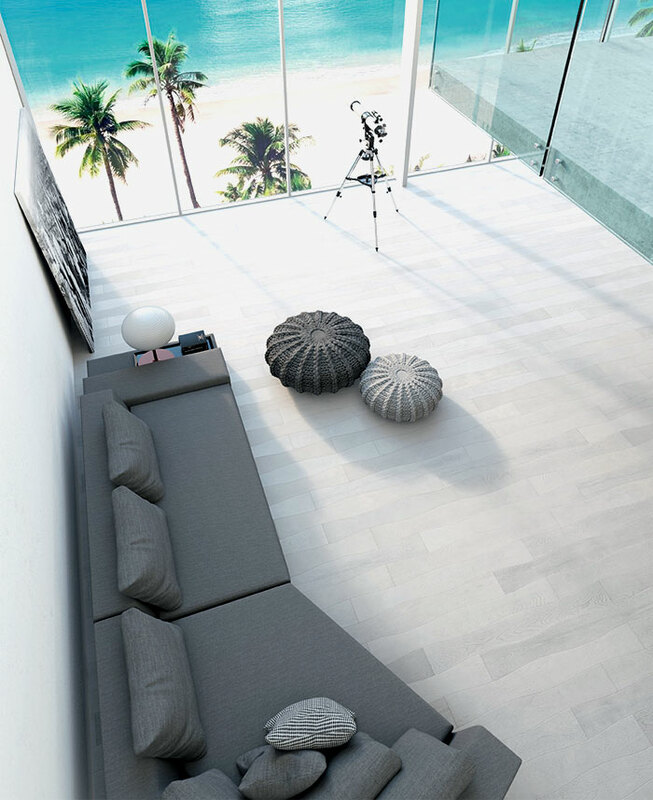 Wave is a creative pre-finished European Oak flooring inspired by non-rectified planks typical in Nordic Countries that in the past used to be laid respecting the irregular and natural trunk shape. The look of the wavy planks, the three elegant colors (black, grey, white) and the alternating of supernatural Matt and high Glossy finishes, make the wood flooring so new and modern. It’s a high sophisticated parquet, where the combination of colors and refinements emphasizes the wavy lines on the floor, almost like an optical effect.